As part of the application process, job applicants may be required to be screened for drug and alcohol use. Depending on state law and company policy, employers may do this prior to making a job offer or as a contingency for an offer. Employees may be tested for drugs or alcohol in the workplace, where permitted by state law. 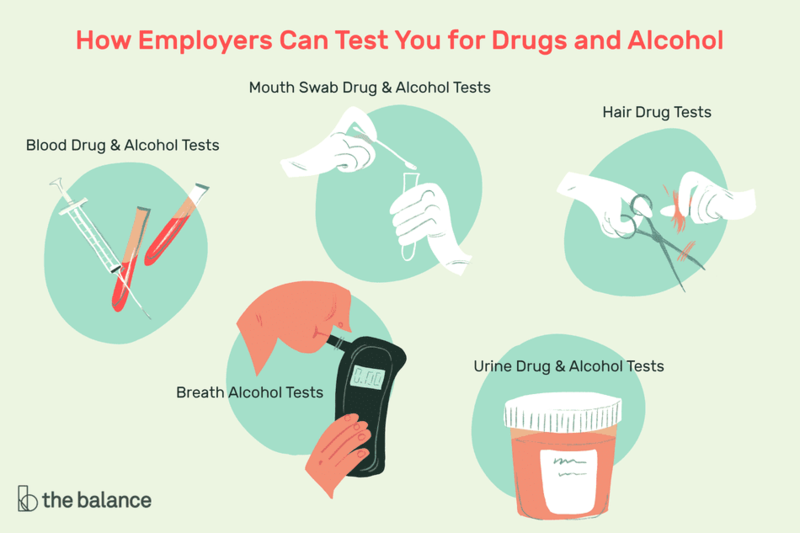 There are a variety of employment-related drug and alcohol tests used by employers. 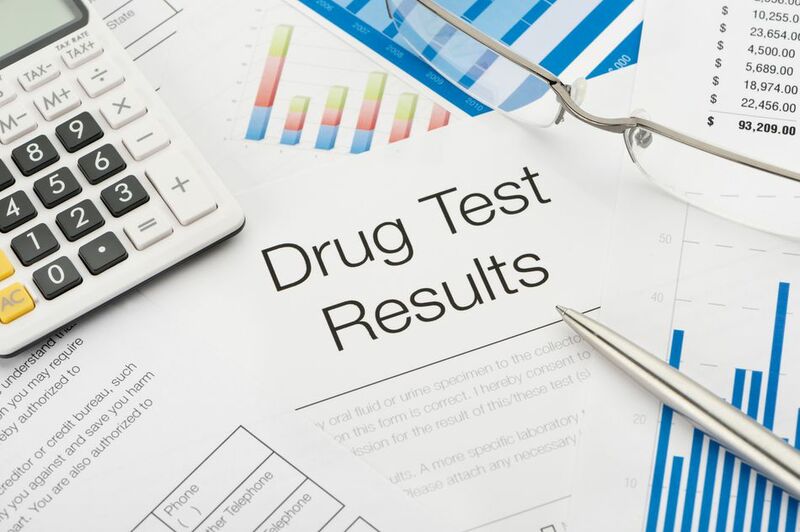 The types of drug tests that show the presence of drugs or alcohol include urine drug tests, blood drug tests, hair drug tests, breath alcohol tests, saliva drug screens, and sweat drug screens. Here's information on the types of drug tests employers utilize, when applicants and employees are screened, and what types of drugs are tested for. When do employers drug test? Employers may drug test as part of the pre-employment hiring process and also may test employees for drugs and alcohol use under certain circumstances. Hiring can be contingent upon passing pre-employment drug and alcohol tests. Drug testing laws vary by state. In some states, there are limits to when and how drug screening can be conducted. In some cases, the law requires drug testing. For example, industries regulated by the U.S. Department of Transportation are covered by federal or state drug testing requirements. While employers may randomly screen employees, they must be consistent in how they drug-test applicants. They cannot selectively test some applicants for a particular job while not testing others – it’s all or none. Many companies test job applicants for illegal drug use as part of the employment hiring process. Also, employees may be screened for drug and or either alcohol use, where permitted by state law. Review a sample company drug test policy that specifies how and when the company screens for drug and alcohol use. There are federal and state laws which provide guidelines on the policies employers can set regarding substance abuse in the workplace. Employers can prohibit the use of drugs and alcohol, test for drug use, and fire employees who are engaging in illegal drug use. However, employees with substance abuse issues are protected by federal and state laws regulating discrimination and disabilities. Prospective employees may be required to be screened for drug and alcohol use prior to being hired. Employees may be tested for drugs or alcohol in the workplace. What can you do if you are concerned about passing a drug test? The best way is to make sure that you don’t have drugs in your system. Learn more about how long various substances stay in your blood and urine, here. The issue of legal medical and recreational marijuana use by employees is complicated because the federal government has not legalized marijuana. Some states have legislation that protects medical marijuana users, others do not. For example, New York's Compassionate Care Act provides protections for employees. A patient prescribed medical marijuana is considered as having a “disability” under the New York State Human Rights Law. A blood drug test may be used when job applicants or employees are screened for illegal drugs. A blood test measures the amount of alcohol or drugs in the blood at the time the blood is drawn. Breath alcohol testing devices, commonly known by the term for one type of device – Breathalyzer – measure how much alcohol is currently in the blood. Breath alcohol tests show current levels of impairment or intoxication, not past use. Generally, one ounce of alcohol stays in a person’s system for one hour. A mouth swab drug test, also known as a saliva test or oral fluids test, collects saliva from inside the job applicant’s or employee’s mouth. The saliva is tested for the use of drugs during the previous few hours up to one to two days. Saliva is easy to collect and test, so this is one of the simplest and least invasive types of drug testing. A hair drug test provides a 90-day window of drug use. It doesn’t indicate current impairment due to drugs, only past use. A hair drug test does not detect alcohol use. Hair can be tested for cocaine, marijuana, opiates, methamphetamine, and phencyclidine. To perform the test, technicians will cut 100 strands of hair close to the scalp to test for the presence of drugs in the hair shaft. A typical urine drug test for employment purposes screens for drugs including amphetamines, cocaine, marijuana, methamphetamines, opiates, nicotine, and alcohol. Urine tests may be required as part of pre-employment screening or may be conducted randomly by employers, especially for employees in certain occupations. What Do You Do When a Potential Employer Asks for a Writing Sample? What Are Social Media Background Checks? What Is Included in an Employee Background Check?